What if you discovered that the images you display on your website and blog could bring you dozens of backlinks, hundreds of visitors and skyrocket your sales – for very little extra effort? You’re about to learn some very exciting ways to attract website traffic through the skillful use of images. Link building has been a tough challenge for even the smartest SEO specialists. But you’re going to hear about a simple but effective twist that brings you inbound links without even asking. Original images are an excellent way to build high-quality links to your website which will boost your search engine optimization and rocket your site to the top of Google rankings for important keywords. Why Are Images So Effective? Including pictures in your blog posts makes your content more attractive, appealing and easier to read. They break up the monotony of long blocks of text. Images also make some information simpler to understand. A picture is indeed often worth a thousand words! From the standpoint of a traffic-hungry webmaster, though, images have one more desirable property – they create link building opportunities. Search engines including Google use your image’s metadata (file name, description, caption) to create backlinks to your website. And every time your pictures are shared on social networks, people are enticed back to your site resulting in a surge of traffic. Where Do You Find These Images? The type of images and how you create them has a lot to do with this effect. Original images that are relevant to the content, nicely customized, and which you optimize for search engines have the best effect in pulling visitors to your page. It was once hard work to craft compelling images. Not any more. 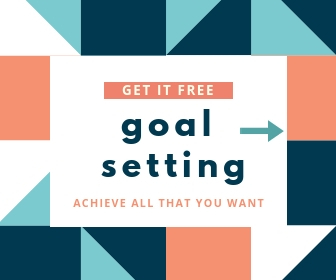 There are some excellent image generating and editing sites like Canva.com which allow even novices to produce some outstanding, eye-catching graphics. The alternative of buying stock images or hiring a photographer or graphic artist to create custom graphics is extremely expensive, though it is a great choice in some situations. Not all images are equal. There are certain types of web graphics that outperform others when it comes to attracting visitors and acquiring backlinks. As simple and elegant ways of displaying data and conveying information, infographics have grown extremely popular, with many rating them the best media format for learning and retention. Infographics are also the most shared form of content across social media, and the kind that many people search for on Google and other search engines. But how difficult is it to create infographics? With powerful tools available online these days, not really. Here are 100 free data sources you can use for research. And Google Trends can also provide helpful information about several topics, including historical changes and current trends. You can also hire a designer to custom-create an infographic for a few hundred dollars using the data you have compiled. Well-planned and designed infographics can literally explode your website traffic and earn you a slew of high-quality backlinks, which makes them one of the most effective content marketing tools. All sorts of quotes – inspiring or romantic, motivational or wise, quirky and funny. Pinterest and Instagram users are special fans of quotes, especially when you combine them with eye-grabbing imagery. While infographics feed the mind, quotes tickle the heart. They are emotion-driven, and should make the reader feel something. The quotes that resonate with the largest audience are the ones that inspire, motivate or move us on a deeper level. The same emotion drives us to share these quotes with people we know. So there’s a great ‘viral spread’ baked into great quote graphics. You can create quote graphics faster and easier than infographics. It takes barely 5 minutes to make social media quote graphics using Canva, for instance. Load up a template you like. Replace the text with your favorite quote. Insert your logo, URL or brand name. Click a button to generate the quote image. And it couldn’t be easier to find the right quotes to use. Even if you don’t have any personal favorites, a simple search on Google for [Topic + quotes] throws up hundreds of results… including ready-to-go quote graphics! Anyone looking for a quick image to use on their blog post would grab one of those. And if you’re the one who creates these quote graphics, you could soon find them shared all over the Web. Quote graphics are easy to create. Infographics are a little harder to make. But photography of high quality is even more difficult – but also exceedingly effective at pulling traffic and getting backlinks. If you’re a skilled photographer, however, it can be a lot of fun. If you’re not, find someone who is passionate about photography, and you can enjoy the best of both worlds! Freelancing websites like Fiverr and Upwork help you find photographers willing to work at a budget of your choice, but you often get the quality you pay for. You’ll need a good camera and some talent to shoot exceptional pictures. But the difference high-quality photography can make is incredible. How do photographs bring you website visitors? Social networks like Instagram feature some amazing talent, and people who share great photos consistently have quickly built up followings of hundreds of thousands of people. Original photographs of high quality can be licensed for use on other websites, in exchange for image credit and a link back to your website. Portals like Flickr have thousands of such images. Sometimes, bloggers and webmasters will find your photograph on a Google image search and use it on their site. You can do a reverse image search to locate such images, and then contact the site asking them to link back to you. Using attractive images on your blog posts as “featured images” is another great way to attract backlinks, especially after optimizing the graphics for maximum effect. Most blog themes will display a featured image at the top of your post, as well as a thumbnail of it beside the title on a navigation bar. The image is also automatically displayed every time you share a link on Facebook or other social media channels. Personalizing your images with the blog name, URL or title of the post make it less likely that others will use it. But the visibility gained whenever your blog post is shared on social media make it worthwhile. Insert a compelling title and you can transform even a regular stock photo into a powerful content marketing tool. Apart from these four kinds of images, maps and memes work well to attract visitors to your website. Maps can be easily created using tools like MapChart which let you import data gathered from your research using Google Trends or other databases into regional maps. Your creativity determines how effective your maps will be for content marketing on social media. Memes are clever, short-lived and a little risky, depending on the theme and your brand or niche. Many online tools like Meme Generator or Quick Meme make it easy to create and design compelling memes, and social media can help spread the right ones like wildfire because they are extremely shareable. They can be powerful in showing how to upsell products. A pretty image, by itself, won’t win you visitors or links. You still have to do something to promote your pictures. Different social networks have distinctive preferences. You must create graphics of the right size for each channel. Some channels are more ‘visual’ than others. So tailor your images to suit each of them. Memes and infographics do well on Twitter. Featured images help extend the reach of your blog posts on Facebook and LinkedIn. Stunning photography quickly gains you a following on Instagram. Quote graphics are extremely popular across Pinterest. sharing your quote graphics on social networks. You don’t have to do all the promotion yourself. Many paid and free submission sites will promote your graphics and help you generate backlinks to them. When you include ’embed code’ which lets others easily copy-and-paste your infographic into their blog or website, you’ll ensure that you get credit with a proper link. Otherwise, you’ll bask in the glow of having your content visible everywhere – but won’t get any extra visitors to your site from it! Google indexes your images based on their metadata. So you must optimize every infographic, image or photo with the necessary information. These minor tweaks make a huge difference in how your images show up on a Google search results page. Use an image editing tool like PicResize or TinyPNG to reduce the size of your image files before uploading them. This prevents your site getting bogged down by posts with multiple images or when there are a few large image files. Fast-loading sites and graphics are also easier for others to share on social media. Tools like Embed.ly help generate a snippet of code that others can easily copy and drop into their site… with an automatic link back to your website. Not only does this make it more likely that you’ll gain backlinks, you can also track how many people are linking to your images and publishing them on their websites. Images can be very powerful tools to gain backlinks and attract fresh visitors to your site. Infographics, featured images, photographs and quote images as well as maps and memes offer opportunities to build backlinks to your site. Graphics also make your site more visually appealing and help convey information more effectively than text-dense content. The challenge is to produce the type of image that matches the medium or channel for distribution and is designed to get shared and linked to. Optimizing your images before use can massively increase their impact on your content marketing.